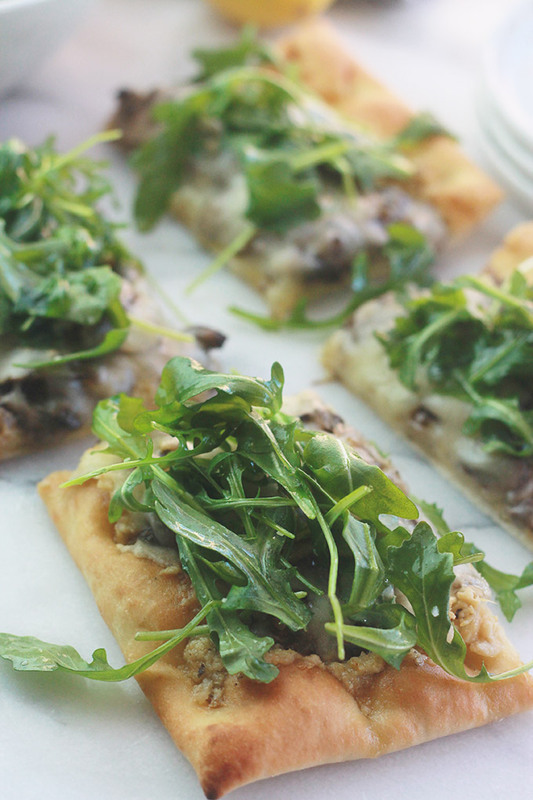 This pizza Is simply delicious, loaded with flavorful roasted veggies, creamy ricotta, and served with a topping of arugula greens and balsamic glaze. Making homemade pizza doesn’t have to be laborious. Actually it can be one of the quickest meals to make. Simply grab some flatbread and your favorite toppings and you’ll have pizza in minutes. However, this pizza takes a bit longer than usual because the veggies were roasted just before adding them but it was still ready in under 30 minutes. Roast the veggies a day or two ahead and store in the fridge until you’re ready to prepare your pizza. I think roasting the veggies adds a level of flavor complexity that’s absolutely delicious. In this recipe I used the Easy 5-Minute Pizza Sauce I shared here last week as my base layer before spreading on the ricotta. 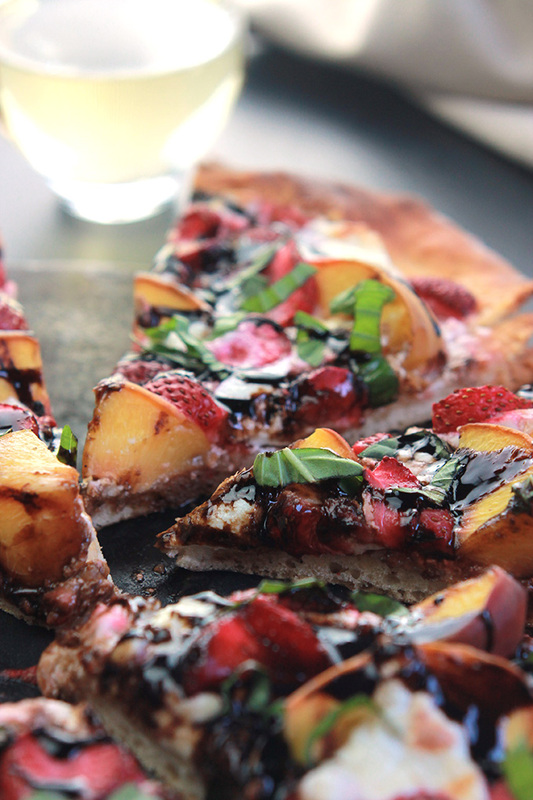 Together they create such a creamy goodness for this pizza. For toppings I roasted veggies I had on hand, mushrooms, red onions, and cherry tomatoes tossed with garlic, oil and seasonings. The robust flavor of the roasted veggies coupled with the creaminess of the ricotta is amazing these flavors meld together wonderfully. You can totally use whatever you have on hand, that’s the great thing about making pizza. This recipe is perfect for those days when you want to get something tasty on the table quick without paying for takeout. If you like this recipe you may want to try these recipes. So nice to meet you today! Your blog looks amazing! Thank you for sharing. I am definitely going to try out your recipes – they look so delicious! I shared your blog with my friend from Vegan All the Thyme! Shawn I really enjoyed our conversation the other day. I’m seriously thinking of giving up cheese. Hopefully you’ll have a chance to give some of my recipes a try soon. Please let me know what you think.